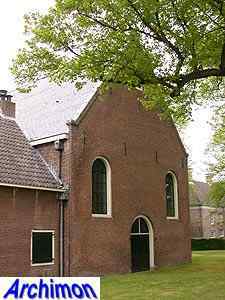 This church is believed to have been founded in the 8th century by Willibrordus, which would have made it one of the first in Holland*. 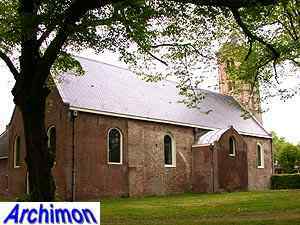 The current church however dates from the 12th century. It's a Romanesque church built of tuff. 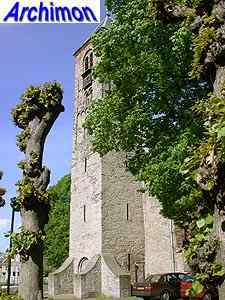 The tower dates from the 13th century and is a remarkably well-preserved piece of Romanesque architecture. It is supported at the bottom by four oddly shaped buttresses. 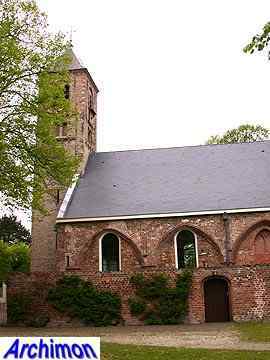 The originally catholic church, consecrated St. Engelmundus, in the 14th century became an important place of pilgrimage. 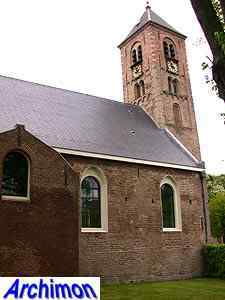 At the end of the 15th century the church was expanded with a side-aisle on the south side while the tower was raised and crowned with a Gothic spire, which was again replaced by the current one in 1887. 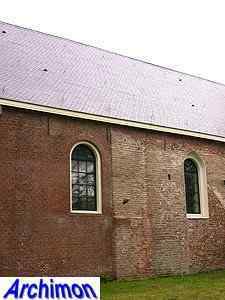 In 1573 the church was greatly damaged by Spanish troops during the siege of Haarlem. 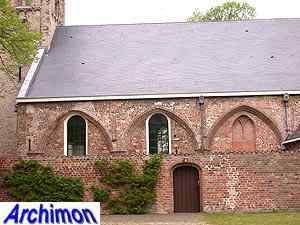 In 1596 the church was rebuilt, with the exception of the side-aisle. 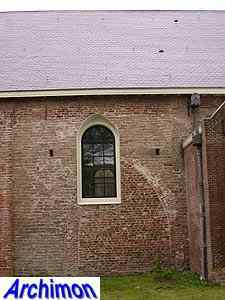 The arches that gave access to the side-aisle are still visible, while a wall at this side of the church marks the outlines of the side-aisle. 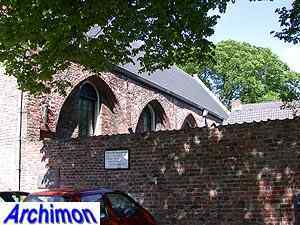 Early in the 17th century the church fell in protestant hands and the pilgrimages were over. 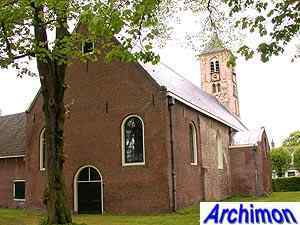 In 1773 the church was lengthened at the back.